They say June is the month for weddings, but September runs a close second. Depending on your region, the weather in September is hard to beat – predictably cool, but not cold, with little wind and few bugs. September also means more floral choices. Traditional summer flower choices are still appropriate, but you might also opt for an autumnal floral scheme. Try a traditional fall palette of red, orange and yellow, or opt for more subdued shades of brown, cream and muted green. Below are the top wedding flowers for your September wedding. Most of these choices come in the fiery colors associated with fall, but feel free to go for a more muted fall scheme. Alstromeria. These lily-like flowers come in brilliant hues of red, orange, pink and yellow, making them an ideal choice for end of the summer weddings. Whether your wedding scheme embraces the colors of fall or celebrates the last moments of summer, alstromeria plays the part. Alstromeria is a sturdy flower that holds up well in bridal arrangements. Cotton. For a soft, subdued, natural look, try cotton. Perhaps you’ve never seen cotton growing, but cotton fields abound in warm, southern states. The plants produce pink or reddish blooms in the spring and summer, followed by puffs of soft, white cotton in the fall. Dried, the plants have an open, branched form and reddish brown bark. Pair cotton with muted colors and rustic fabrics like burlap or muslin for a simple, but elegant, fall scheme. Dahlias. Dahlias, with their tall, elegant spikes of blooms, make a bold statement when combined with other flowers in arrangements and bouquets. Dahlias are available in both bright and pastel shades. Mums. No matter where you live, mums are widely available in September. These simple flowers are widely used in fall planters because they come in traditional fall colors, such as orange, brick red or yellow. They’re also available in pink, cream, purple or white. Ornamental Fruit. Come September, your neighbor’s crab apple tree is probably loaded with small red fruit. Tuck a few branches into vases for simple fall displays. How about bittersweet, elderberry or chokecherry? Ranunculus. 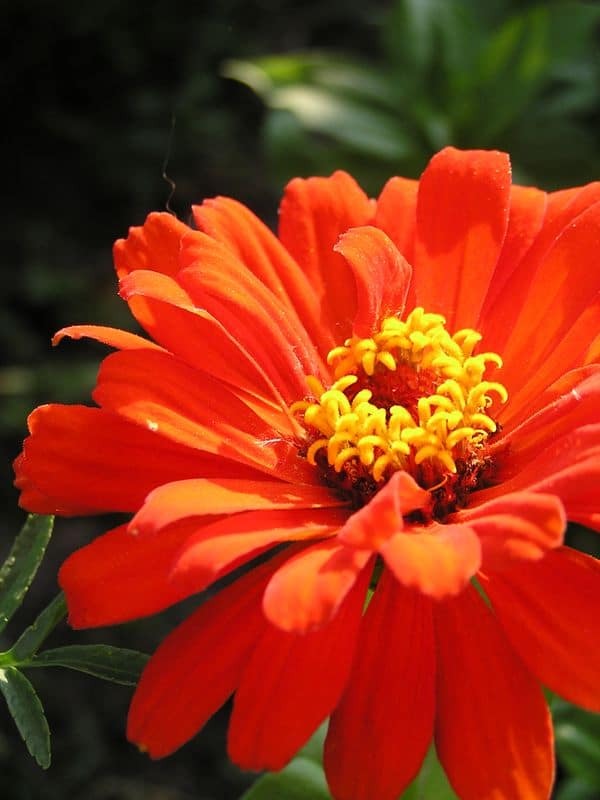 This fall-blooming flower has gorgeous, rounded blooms. Brilliant orange, red and yellow blooms are most common, but cream ranunculus make elegant wedding arrangements too. Sunflowers. No flower is more beloved in the late summer garden than sunflowers. These cheery flowers come in a wide variety of sizes, from tiny dwarf sunflowers to the huge mammoth types. Pair them with purple calla lilies or stock for a charming, casual wedding scheme. Sunflowers produce lots of pollen so be sure to grow or ask for horticultural grade sunflowers that have no pollen. Wheat. Sheafs of wheat are a traditional symbol of prosperity and plenty – a perfect statement of hope at a wedding. Wrap large sheafs in ribbon and display them with muted linens and candles. Zinnias. Zinnias, with their bright, multi-petaled blooms come in bright pinks and reds. Use them alone or pair them with other sturdy flowers for a bright September display. Today’s florists can get almost any flower year-round, but flowers that are naturally in season are almost always less expensive and of better quality. High-quality roses can be found 12 months out of the year and prices remain fairly consistent, but think twice before choosing spring-blooming flowers, such as hyacinth, daffodils, peonies, tulips or poppies. You’ll pay a pretty penny for these blooms at the expense of quality. Choose a wedding theme that reflects the season, as well as your budget and personality. Incorporating seasonal elements simplifies garden planning and helps keep the budget in line. Fall light is often softer than the harsh light of summer. Accentuate that characteristic by decorating with candles and soft fabrics. Finally, don’t forget to make accommodations for changing evening temperatures. 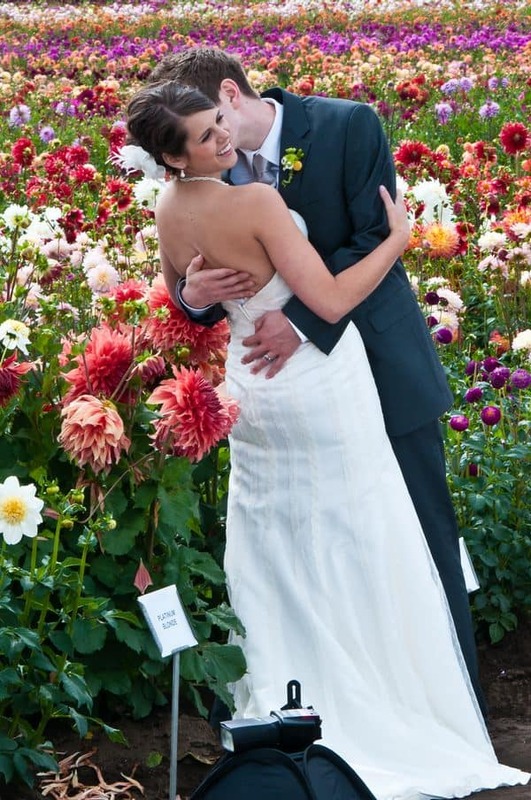 Rent space heaters and include a pashmina wrap in your wedding attire. When she’s not writing about gardening, food and canning, Julie Christensen enjoys spending time in her garden, which includes perennials, vegetables and fruit trees. She’s written hundreds of gardening articles for the Gardening Channel, Garden Guides and San Francisco Gate, as well as several e-books.